One of the most cost effective changes you can make to conserve energy in your home is sealing air leaks. Common areas to check for leaks are window frames, door frames, and electrical outlets (these are very easy to feel on a cool, windy day). To do a thorough job, be sure to also check recessed can lights, the attic access door, rim joists in the basement, the chimney flue, and wherever wires or pipes enter your home. In most cases some caulk or weather stripping should take care of leaks. For can lights and chimney flues consult a professional for assistance to properly and safely seal these areas. Check for gaps around your windows, an area where air commonly escapes. There are several ways to do this: shine a flashlight around the edges at night or use a smoke stick (when lit the smoke will drift toward leaks). Another trick: put a piece of paper in the window and then close and lock it – if you can pull the paper out without it tearing that window isn’t creating a tight seal. After leaks are located, seal them with caulk or weather stripping according to manufacturer’s instructions (weather stripping works better for larger gaps). Inadequate insulation in your attic is a common culprit for heat loss. Standards for attic insulation may have changed since your home was built. Consider adding insulation to your attic for increased energy savings – and don’t forget about sealing air leaks! ENERGY STAR® estimates that adding insulation and sealing air leaks (which can be done in just one step with spray foam insulation) can save homeowners as much as 10% on their annual energy bills. If you’re looking for insulation help you’ve come to right place – we’re the experts! Contact us for a free estimate. 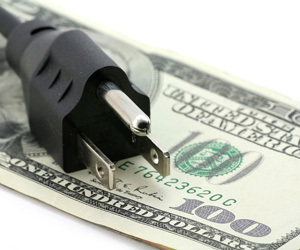 Reduce “standby power” in your home. Standby power is power used by electronic devices that are plugged in, but not in use. Even though these devices are not is use, they are still draining energy (ENERGY STAR® estimates 5-10 percent of residential energy use can be blamed on standby power.) The solution is simple. Unplug it. Or, if that is too inconvenient for TVs or hard-to-reach outlets, use a power strip with an on/off switch. Have questions on what to do after you find a problem? We can help! Call us today to discuss what you found and for a free estimate. In the meantime, check out this great resource for your own DIY energy audit from our friends at Energy Star. © 2019 Delmarva Foam. All Rights Reserved.